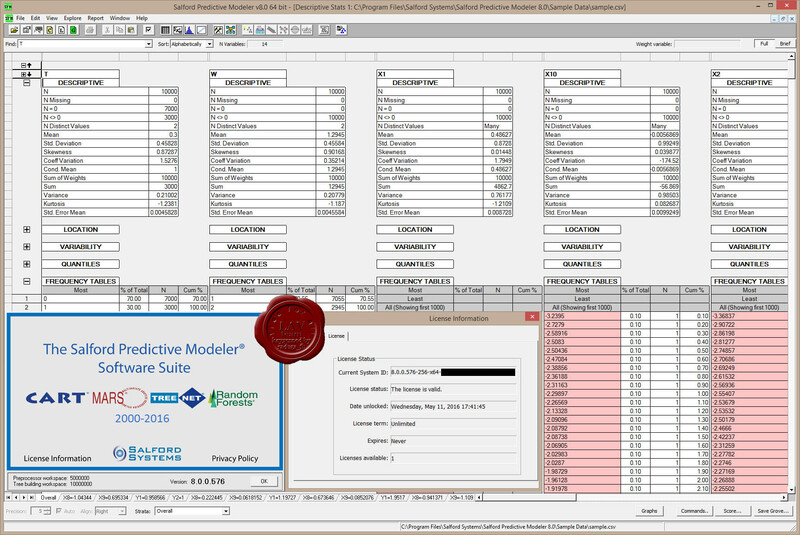 The SPM Salford Predictive Modeler software suite is a highly accurate and ultra-fast analytics and data mining platform for creating predictive, descriptive, and analytical models from databases of any size, complexity, or organization. This suite of data mining tools includes Salford Systems' flagship products of CART, MARS, TreeNet, and Random Forests. The SPM software suite's automation accelerates the process of model building by conducting substantial portions of the model exploration and refinement process for the analyst. While the analyst is always in full control, we optionally anticipate the analysts next best steps and package a complete set of results from alternative modeling strategies for easy review. Do in one day what normally requires a week or more using other systems!